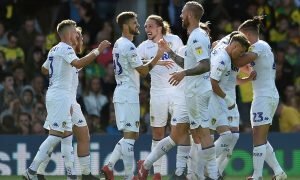 Leeds United looking to land exceptional striker addition | The Transfer Tavern | Where football transfer rumours fly or die! The Leeds United fans are gathered around the jukebox choosing some tunes and discussing reports linking them with a League Two striker. The Exeter Express and Echo is reporting that the Championship side are readying a bid to bring Exeter front man Tom Nichols to Elland Road. Leeds are looking at options to strengthen their forward line with reports suggesting that Mirco Antenucci could be set for a January move away from the club. 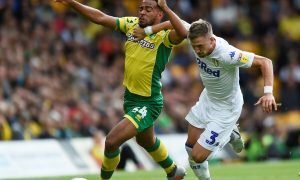 It is reported that Leeds boss Steve Evans could be set to make a cut price bid for the 22 year old whose contract expires with the League Two side in the summer. Nichols finished the season as Exeter’s leading scorer last term with 15 goals and has seen his stock rise with 10 goals in 26 games this season including a goal for Exeter against Liverpool in last weeks 2-2 draw at St James Park. The Leeds fans in The Tavern would be sorry to see Antenucci leave the club as he is a player a lot of them admire, but believe that Nichols could be worth making a bid for should the popular front man leave Elland Road. 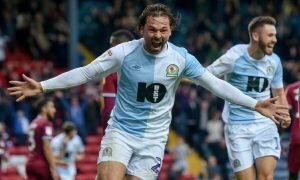 Leeds fans, would this striker be a good addition? Let us know in the comments below!